The Dodgers are playing much better to start 2019 than they did in 2018, as they’d still be undefeated if it wasn’t for Joe Kelly blowing two games in spectacular fashion. Still 8-2 is plenty good for the first 10 games, and they won tonight in another blowout over the Rockies to take the sweep by a score of 12-5. While AJ Pollock has played solidly so far, this is essentially the same lineup as last year, so some credit is due to hitting coach Robert Van Scoyoc for the improvement across the board. The team looks relatively unstoppable offensively and that continued tonight. They scored in six innings, piling up 12 runs on 12 hits and 10 walks against only 4 strikeouts. That included starting pitcher Julio Urias singling a run home. Of course, that scored two runs thanks to Charlie Blackmon, who made more than a few misplays out there today. 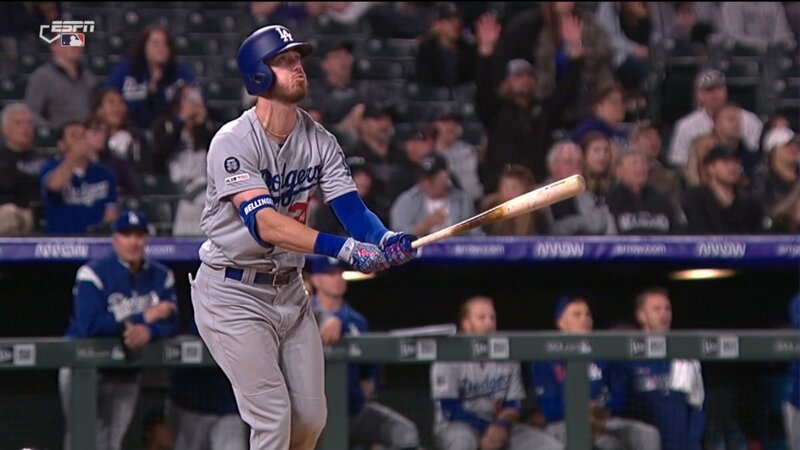 Max Muncy also crushed a ball, which was one of the two homers for the Dodgers. The other? From the star of the day, Cody Bellinger. Yes, he did it again, going 3-for-4 with a walk, double, and homer, his 7th of the year. But it wasn’t just his bat, as he flashed it all today, showcasing his speed on an infield single and also coming up big on defense. Bellinger home-to-first in 3.84 seconds, 30.7 ft/sec sprint speed. 3.84 sec is elite: 14th best in MLB this year, behind guys like Hamilton, Bader, DeShields. 30.7 ft/sec is very elite. MLB avg is 27, and 30 is the greatness line. Incredible athlete. On the other side of the ball it continued to be a bit of a mixed bag. Urias started and clearly didn’t have his best command, as he walked four and labored through 74 pitches in his 3.2 innings. He surrendered four hits and struck out just two, allowing his first three runs of the season, although it could’ve been two had Enrique Hernandez not forgotten the outs and turned an inning-ending double play. Enrique did make up for it later, as he saved a run for Kelly with an outstanding diving stop. Speaking of, Kelly was much better today, getting five outs and striking out three. However, he did still surrender three hits and was eventually charged with two runs after Caleb Ferguson allowed both his inherited baserunners to score. In the box score, Ferguson continued to look solid, going one inning and striking out one, giving up just a single. Newly called up Dennis Santana then entered to try and give the pen some rest, and he managed to do just that. He got the final 2.2 innings, giving up a run on two hits and a walk but striking out two. 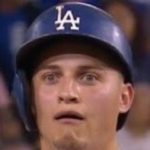 The Dodgers are now 8-2, which ties them for the second-best record in baseball behind … the Seattle Mariners (? ), and they continue their road trip in St. Louis tomorrow as they take on the Cardinals at 1:45 PM HST/4:45 PM PST/7:45 PM EST. Hyun-Jin Ryu will look to continue his strong start to the season against Miles Mikolas.